PHILADELPHIA — Jessi Whitten, music director for Colorado Public Radio’s OpenAir, recalled a “breakthrough moment” several years ago. She declined to add a female musician to her station’s rotation, yet she caught herself describing the woman’s music to a colleague the same way she had characterized a male artist whom she had added the day before. “Do I really think this woman is not as talented as the man I added yesterday, or did I have fewer reference points for her voice?” Whitten asked herself. From left: Shannon Kurlander, head of radio promotion at marketing firm Terrorbird; Liz Felix, director of communications for the show BirdNote in Seattle; Jessi Whitten, music director for Colorado Public Radio’s OpenAir; moderator Lindsay Kimball, host and assistant PD with The Current in Minneapolis; and Talia Schlanger, host of WXPN’s World Cafe. 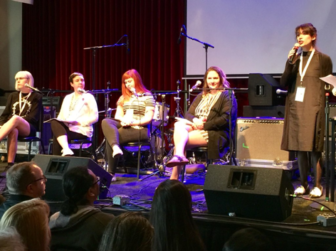 Whitten joined other female leaders in her field Thursday on a panel at the annual Non-Commvention, an event for public radio music stations held at the headquarters of WXPN. Titled “She Persisted,” the conversation dealt with challenges facing women trying to move up the ranks in the industry. The all-female panel suggested ways station leaders and others can change their work and mindsets to be more inclusive and supportive of women. They spoke to a mostly male audience that included few people of color; the panel included none. Panelists discussed perceptions in music radio that stations will turn off listeners if they play too much music by women or play songs by female artists back to back. Women can also be guilty of perpetuating those myths, Whitten said. “Female” is not a musical genre, panelists said, so stations should ensure that women are a regular presence on the air and given equal time and space with male performers. Programmers do face a challenge posed by the history of rock music, said Rita Houston, PD at WFUV in New York City. For a weekly feature focused on heritage artists, “it gets really hard to achieve the balance that we want to have because of the way the history books have been written … and so many women being marginalized,” Houston said. NPR helped with its Turning The Tables project, which highlighted 150 albums made by women, Houston said. “You have to go digging deeper,” she said. Jon Hart, music director of KTBG-FM in Kansas City, Mo., said the music industry isn’t likely to respond to appeals to justice. Hart said he patted himself on the back when he spoke with a local journalist about how well the station has represented women in country music. “I still walked away feeling guilty,” Hart said. “I felt guilty about blacks. I felt guilty about Hispanics. But the most under-represented group at our station has been women, even though we do better” than other stations, he said. Panelists said station programmers often think they program more women than other stations do, even if they’re just playing a handful. That’s not enough — create a vision for the station and consider what the result should be, rather than just what’s “better,” Whitten said. The lack of female leadership in programming and on-air are issues that should be tackled separately, according to panelists. 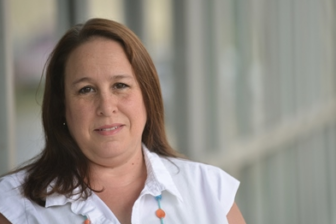 “We want equality, and on top of that, we want women in executive roles,” said Shannon Kurlander, head of radio promotion at marketing firm Terrorbird. Some stations don’t have any women on-air or on staff, said Liz Felix, director of communications for the show BirdNote in Seattle. Consider how hiring a woman would change conversations in the office, Felix said.